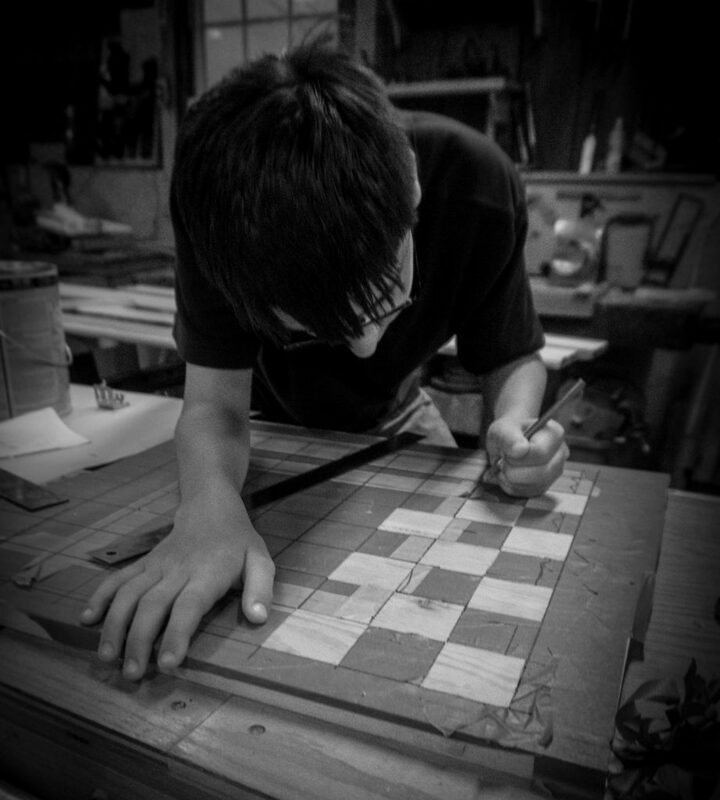 Tonight Ben decided to head out to the workshop to work on his chess set. We have milled lumber for half of the pieces (the white pieces) and glued up the wood for the board. He put tape down on the board tonight, and I helped him mark out 2″ x 2″ squares. 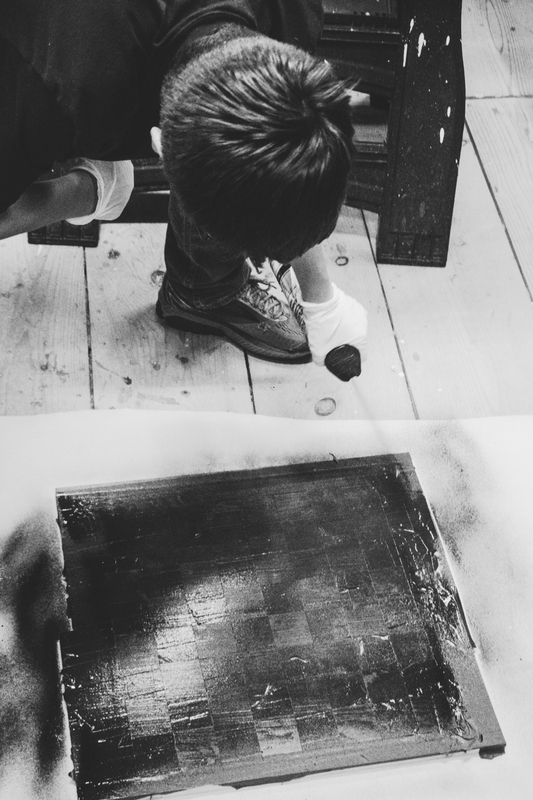 He cut out the individual squares and then used black spray paint to paint the dark squares. The light squares will remain natural wood color. In the meantime, I spent some time cleaning up window trim (so I can paint it tomorrow) and picking up the workshop. Spray painting the chess board. Cutting out the chess squares on the board.